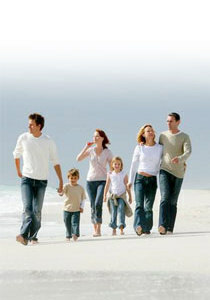 As well as checking your Will(s) and/or LPA(s), we also correct them for you. Your documents are printed on high quality paper. Will documents are tamper-proof† heat-sealed, LPA documents are printed A3 fold A4 and saddle stitched. 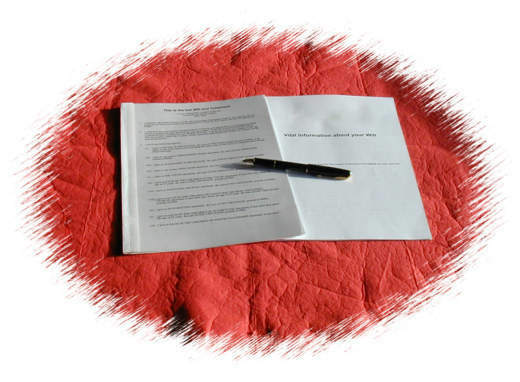 You receive a bound copy of the Instructions document which explains the process of signing/witnessing to make your document(s) legal and also includes lots of tips for what to do with your documents once they've been signed. Your hardcopy documents will be mailed to you in a card-backed envelope (to prevent damage) within 28 days of purchase. Please click here for the cost of this service. † Tamper-proof means that if any of the pages have been removed or replaced or altered then it will show. It does not mean that it is impossible to remove or add or alter pages.